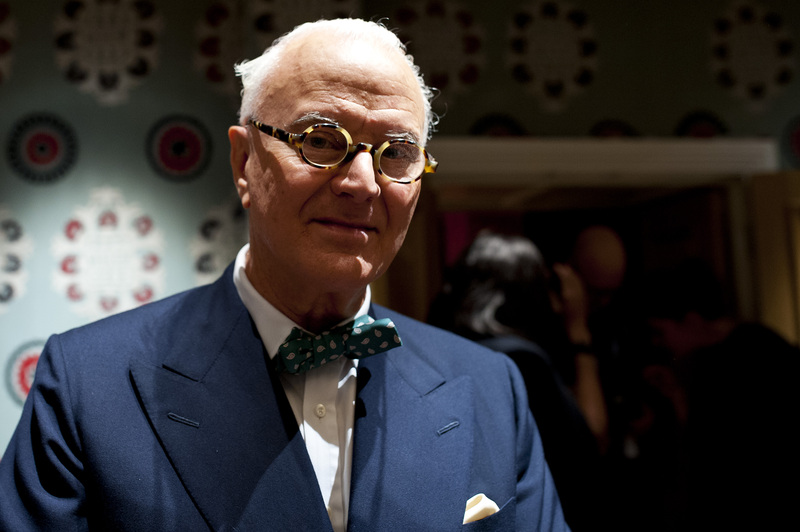 Manolo Blahnik knows a thing or two about shoes. And while he is the maker of some of the most gorgeous high heels in history, he is not opposed to comfortable and functional footwear. During an interview with Fashionista, the renowned shoe designer confessed his undying support for snow boots, calling them "chic." I loooove Birkenstocks. Always did — I wear them myself in the summertime! I also used to wear them in the winter, years ago, like maybe the 1980s when they were very hot. I used to wear them with socks in New York. I cannot quite imagine Blahnik in a pair of Birkenstocks, let alone with a pair of socks. Ahh, why didn't we have Instagram back then to capture moments like this! Now that you all have Blahnik's blessing/permission to wear snow boots — or even Birkenstocks — to Fashion Week, you can all breathe a sigh of relief ditching those pretty heels behind. We also have a feeling he'd support your wear of fashion sneakers, too. Hallelujah!